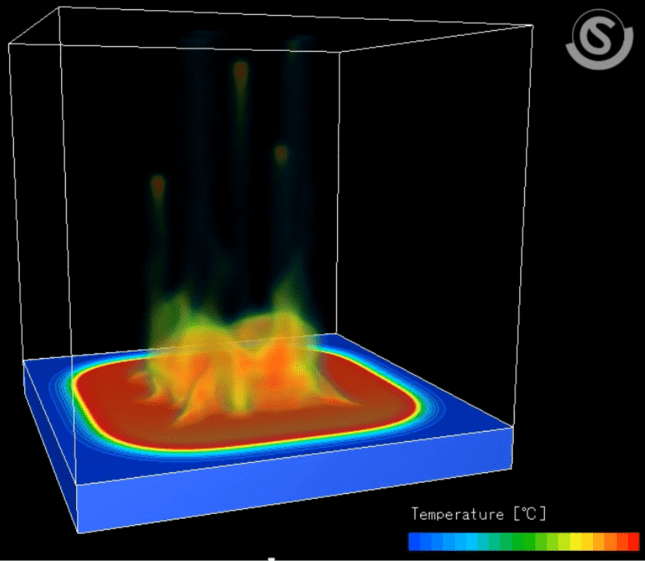 Computational fluid dynamics (CFD), is a simulation tool used for analyzing complex thermal and fluid phenomena. It is instrumental in maintaining the safety of many products we use on a day to day basis, such as an automobile or even the house we live in. Visualizing the complicated movements of a gas or liquid flow can be quite convoluted. By implementing Simulation Software such as, SC/Tetra into the workflow, analyzing these movements is easier than ever. It enables the user to predict the performance of their products before physical testing. This results in a more optimized design early in the product development cycle. In some cases, simulation can even replace the need for physical testing, altogether. Utilizing SC/Tetra will provide engineers with the understanding of these type of movements and an easy to use tool that anyone could implement. One of the foremost expectations of today's product driven companies is that they bring high value-added products that meet customer's needs to the market quickly. In addition, successful companies proactively identify application scenarios that could result in unsatisfactory performance, product failures, and customer dissatisfaction and/or develop design solutions that mitigate the potential risks. 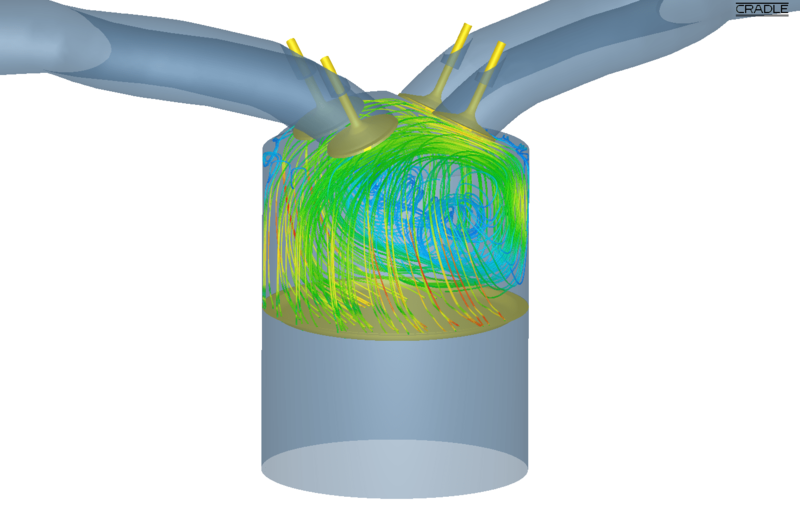 Thermo-fluid analysis software is indispensable for "Front-loading" product development to ensure the best product concepts are identified early in the design process. Design quality will be improved during the conceptual design phase by conducting basic studies of fluid and thermal phenomena that directly affect product performance. 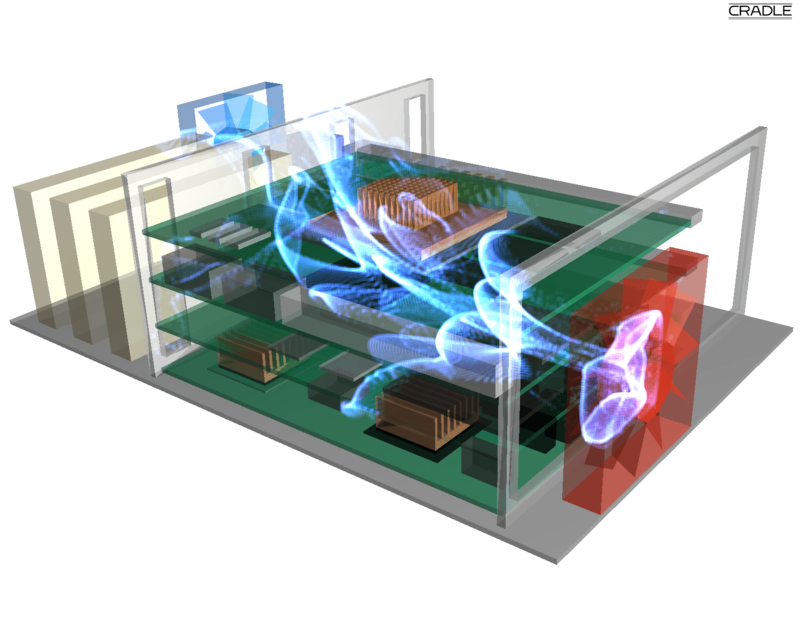 During the detailed design phase, simulations are conducted under conditions similar to what the actual product will experience. From this work, design engineers can understand the source of problems that limit performance and investigate alternate design solutions before production begins. 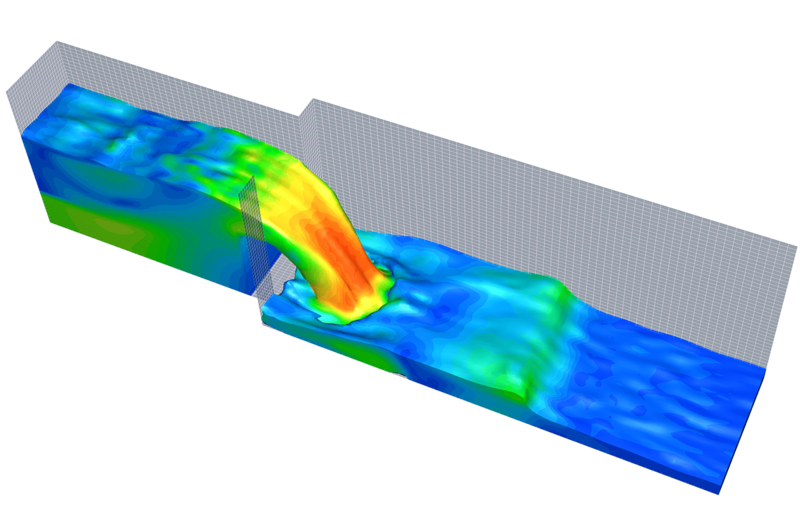 Multiphase analysis allows for simulation using free surface, particle tracking, and volume of fluid. Application using multiphase include particle deposition, effect of waves on ships, effect of gasoline tank shaking. 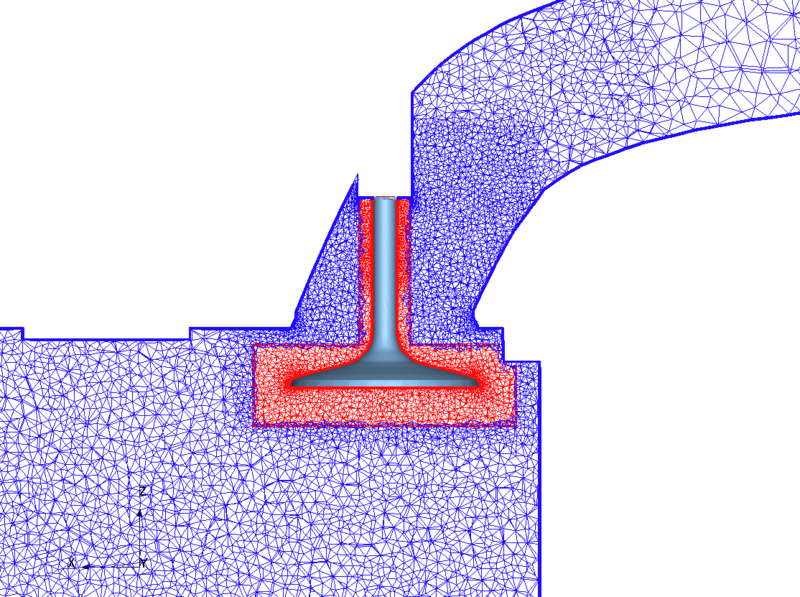 Discontinuous and overset mesh allow for various methods to simulate moving objects. Discontinuous mesh makes it possible to analyze a combination of rotation and translation such as a piston pump, or shear forces during application of a disk brake. Overset mesh incorporates a stationary and moving mesh. Applications with deformation, rotation, or multiple moving regions can be simulated using this approach. Examples using overset mesh include, a gear pump or opening and closing of an engine port valve. Supersonic flow and expansions/ contraction of volume simulation are possible using either a pressure based or density based solver. 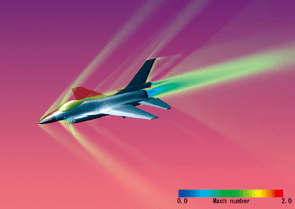 A density-based solver keeps the calculation stable during high Mach number simulations. Depending on the objective, either solver can be specified for the analysis. CFD is capable of considering all three modes of heat transfer. In addition to natural and forced convection, radiation can be solved using either the flux or view factor method. 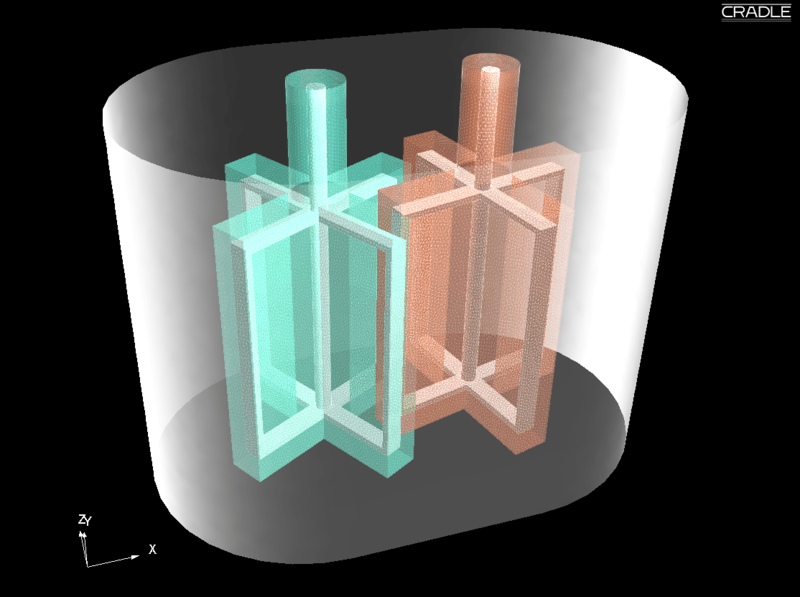 With view factor reflection, transmission, and refraction can be considered. In boiling can be predicted for a fluid by considering the nucleate boiling coefficient. 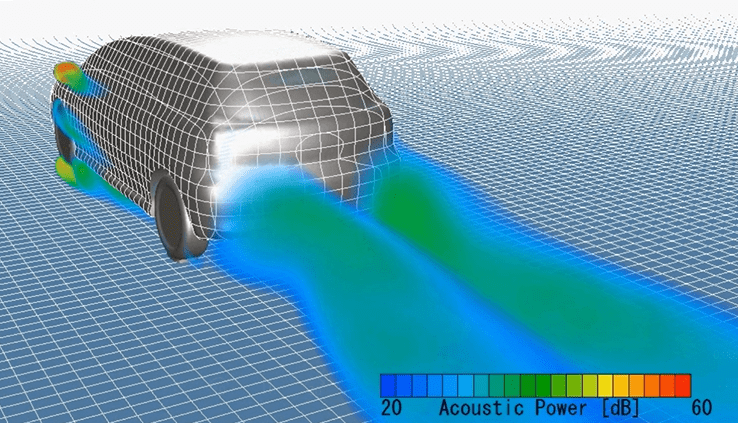 Sound caused by pressure oscillation of fluid, such as wind noise, and sound caused by resonance can be predicted using Large Eddy Simulation (LES) and a weak compressible flow model. A Fast Fourier Transform calculation can be used within the software to predict the frequency of noise. 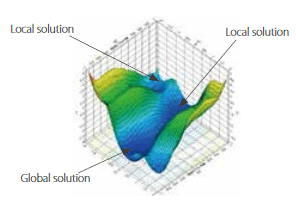 Using previous simulation results, Optimus for Cradle can be used to search for an optimal design. Multiple design variables and multiple design objectives can be considered using a genetic algorithm. From importing and modifying the geometry, creating a mesh, running the simulation, and creating a report, all aspects of MSC’s CFD Software can be automated using visual basic.